Features: Featuring a classic beaded design on the handle, the Lyndon Vegetable Spoon from Reed & Barton offers style and grace to any setting. Made of durable 18/10 stainless steel, this serving set provides functional, easy care essentials for both casual and formal entertaining. 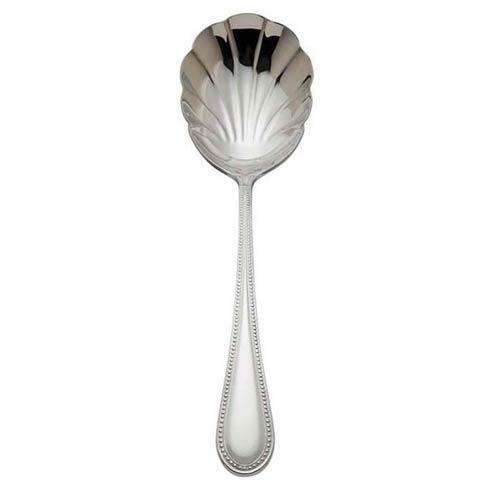 The Vegetable Spoon allows you to serve veggies, hot or cold, in style. Measures 12 inches in length. Elegantly boxed for gift giving.